You’re more likely to have a drug withdrawal than you might think. When people think of drug withdrawal the picture they see is the one of classic heroin withdrawal. Someone coming off heroin or other opiates does some “kicking” both drug wise and legs-wise. They also have diarrhea and “goose bumps.” Because opiates are pain relievers during withdrawals people can experience high levels of pain. That dramatic type of withdrawal is not the only kind you might have. Each drug you might take can have some effects when the level in your body, principally in your bloodstream, begins to drop. Drug withdrawal is an identifiable illness or syndrome that happens when someone stops taking a drug or reduces the amount they are using significantly. The symptoms begin when the level of a drug in the blood drops. Withdrawal symptoms can vary in severity and each drug has its own pattern of withdrawal symptoms. An alternative name for withdrawal is Abstinence Syndrome. In the early stages of drug use, withdrawal symptoms may be minimal and go unnoticed. Once the body has adjusted to having that drug present and made adaptations the symptoms become more pronounced. Symptoms may not be entirely physical. For some drugs the primary withdrawal symptoms are psychological. Withdrawal symptoms make it harder to stop using drugs. The more severe the withdrawal symptoms the more likely the user is to pick that drug back up to reduce those symptoms. A withdrawal symptom of drugs taken to reduce anxiety, prescribed or self-medicated ones, is an increase in anxiety. People who smoke marijuana to reduce anxiety report that the anxiety gets really bad after they discontinue smoking it. This results in a return to marijuana use. Getting rid of withdrawal symptoms is a strong motivator to resume drug use again. The DSM-5 lists withdrawal effects for eight of the eleven classes of substances. I find it interesting that some drugs such as Inhalants and Hallucinogens have no withdrawal symptoms specified. We also have only one diagnosis and F code for the group of drugs, Sedative, Hypnotic or Anxiolytic Drugs. Withdrawal from these drugs can be different with different drugs. Stimulant Withdrawal is separated and has one code for Cocaine and another for Amphetamines and other stimulants. These DSM-5 codes are a rough sketch. For the full details consult the DSM-5 text. Also, note that there are well-defined withdrawal criteria for Cannabis (Marijuana) and Caffeine. Terms and their meaning can differ with the profession using them. The literature from the Rehab or AOD (Alcohol and Other Drug) field may be very different from that in the mental health field. There is still a large gap between recovery programs, AOD professionals and the terms and descriptions used in the DSM. What kinds of drugs are abused? There are a whole lot of drugs that get abused and they are not all the ones you might recognize. Drugs are classified in a variety of ways. Which classification system you want to use is partially dependent on why you are classifying the drug. For our purpose in this post “drug” includes prescription medications, drugs of abuse and things people give themselves to alter their sensory perception even if they are not always considered a drug. Here are some ways drugs can be classified. How law enforcement classifies and regulates drug use behavior impacts how we look at drugs in other contexts. The roots of the current 5 schedule system of drug classification for legal purposes are in the 1970 Controlled Substance act. Who can buy a drug; prescribe a drug and how this needs to be done, all fall under the legal classification system. Laws do not always fit neatly with the scientific evidence. There are other posts, past and upcoming, about drug laws and regulations. You will find more drug info posts under Drug Use, Abuse, and Addiction. Where does this drug come from? Drugs can be plant or animal based, synthetic as in manufactured in a lab, or semisynthetic, that is a plant-based drug that is modified in the lab. Some people have tried to make the argument that plant-based drugs are “natural” therefore less dangerous than synthetic or man-made drugs. This is often used as an argument for the legalization of marijuana. Some natural plant-based drugs are poisonous and can prove fatal even in very small doses. The Opioid’s come from one species of poppy plant but is very addicting and an overdose can be fatal. Other drugs like LSD-25 were originally isolated from plant material (a fungus growing on rye grain) but can easily be synthesized in the lab. Other life-saving drugs are completely synthetic. The plant vs. factory origin way of classifying drugs has not proved useful to my way of thinking. Is a drug an antidepressant or a blood pressure med? Many dissimilar chemicals may be used to treat the same condition. Drugs to treat ADHD can be stimulant drugs or there are non-stimulant alternatives. Pain relievers include aspirin and Opiates. Aspirin can be used to treat heart issues and Opiates can be listed as a drug of abuse. The same medication may help treat depression or be used to help you stop smoking. Classifying drugs by use is problematic at best especially when we are talking about drugs that may be abused. What part of the body does this drug work on? Heart med, blood med or Liver med? Not all meds used to treat the heart do the same thing. Many drugs work on multiple parts of the body. 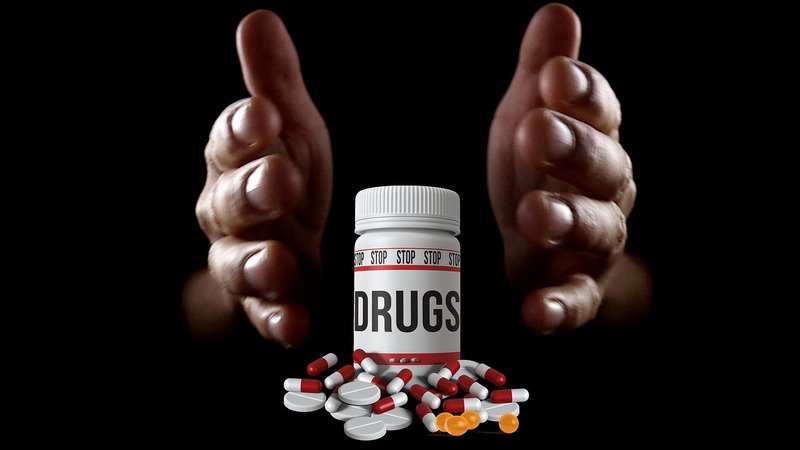 Drugs which are helpful in some places in the body eventually get broken down to be eliminated. A drug that is great for back pain may be harmful or even toxic to the kidney or liver where it needs to be removed from the body. What is the chemical structure? Some chemical structures have similar effects. There are a great many Barbiturates which are all similar in action. The contrary is that there are a great many compounds that end with “hydrochloride.” These can have extremely different properties. Drugs can be studied by how they do the things they do. Reuptake inhibitors stop the breakdown and recycling of neurotransmitters. While they may have similar mechanisms of action it matters which neurotransmitter they are prolonging. Street names often describe the primary effects. Drugs can also be classified by chemical name, formula or brand name. Other possibilities for classifying drugs. Uppers Downers and All Arounders. Inaba in his book Uppers, Downers and All Arounders simplified drugs, particularly drugs of abuse, into three primary categories. Uppers mean drugs used for their stimulant properties. Downers are depressant drugs. All-Arounders are drugs which alter perception including hallucinogens and Deliriants. People who abuse stimulant drugs may switch between cocaine and amphetamine depending on the price and availability but they like the stimulant feeling. Downers, those drugs used for their depressant characteristics, include Alcohol, Heroin and other Opioids, and other central nervous system depressants. The newest edition of his book also discusses some additional drugs that have mixed effects or do not fit neatly into the three grouping system but among drugs of abuse, the use of uppers and downers continues to be the largest part of what the substance use disorder treatment field treats. Route of administration or method of use. Inhalants can be any number of very dissimilar chemicals. Oral medications have in common only the way they enter the body as do injectable drugs. What do you do if you are allergic to smoke? How do you work around smokers if you are allergic to smoke? This question originally came to me as an email from a counselor who is allergic to smoke. While they love the work if it’s difficult being around people who are heavy smokers. This problem also applies to those who have allergies to perfume or other strong scents. I thought I would pass this along for whatever it is worth. If any of you out there have other ideas feel free to leave a comment or contact me. This is an extra problem, I believe, for anyone who works in mental health or substance abuse treatment areas. The comments also apply to those who work with the homeless or in social service agencies. Smoke also affects the family members and children of the smokers. When there are children involved we suggest that the smoker refrain from smoking not only when the children are around but also suggest that they not smoke in areas that their children will be. See the post on Third Hand Smoke to find out more about the lingering effects of having a smoker in a room where others later go. As an ex-smoker, this is less of an issue for me. I often do not notice the scent of smoke but others may. I am not suggesting anyone take up smoking to reduce the issues they have with being around others who smoke. I have written previously about how tobacco (nicotine) is the drug of choice among the homeless. See: What is the Drug of choice among the homeless? Heavy smoking is common among those with serious and persistent mental illnesses, substance abusers and the homeless. Smoking is not the only reason that these clients may have a strong odor. Lack of hygiene facilities makes the problems worse and so do illnesses like depression that make it overwhelming for many people to do their activities of daily life. The conventional wisdom used to be that smoking calmed down people with psychosis or emotional issues. So if you were trying to treat someone hearing voices or abusing street drugs, why make then give up tobacco at the same time? Today, more and more places, treatment facilities and self-help meetings are going smokeless. What we have found is that helping people give up tobacco does not hamper their recovery from other substances and may help improve their mental health symptoms. Increasingly stop smoking programs are finding their place in the treatment of people with mental illness and substance use disorders. Here are some thoughts to help those of you who find yourself around smokers who are triggering your allergies. This is a serious challenge. I would hate to think that anyone would need to give up their profession because of allergies. This is a severe challenge for people with allergies since so many clients are heavy smokers and the smoke smell lingers long after they have put that cigarette out. Heavy smoking is common in people with psychosis, schizophrenia, substance use disorders and so on. I did have a colleague who had severe allergies and even someone wearing perfume or having flowers in their office set off their attacks. See your doctor, especially an allergist. Untreated this is only likely to get worse. Taking medication may help prevent the allergies getting worse. Try to work in larger offices or rooms where the smell may be less overwhelming. See if you can do some distance counseling work. We have a law here (California) that helps people who are in rural areas, shut-in’s etc. see their therapist via the internet. Other professionals may be able to do more of their contacts via phone. See if you can get assigned to a school-based program or work with children. Their parents may smoke but you will have less smell on your clients. Not sure if those suggestions will help you but that is the ones I have thought of so far. If any of you readers come up with any other solutions let me know. Let’s see what blog readers can come up with. Is being around smokers or strong odors an issue for you? Smoking may be the cause not the result of depression. People who smoke are far more likely to become depressed than nonsmokers. About 40% of smokers suffer from a mood disorder, largely depression, while the rate in the whole population is typically in the range of 2% to 10% in any one year. 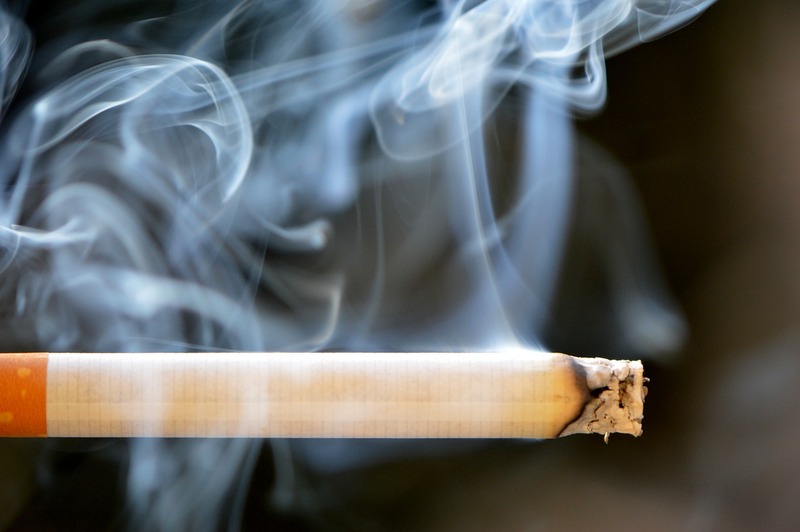 The connections between tobacco smoking and mental health issues may be even more severe than was previously thought. The connections are not limited to depression or related mood disorders. This study surveyed 35,000 people; about 4,800 of those were daily smokers. The study participants were resurveyed 3 years later. Smokers in this study appear to have significantly higher rates of mental health issues. Half of all smokers reported having “Alcohol problems” While 24% reported some form of drug use problem. Over the course of the three-year period between studies, some people quit smoking. Among those who quit smoking the rates of mental health and substance abuse problems declined, while those who continued to smoke continued to have higher rates of mental health and substance use disorders. This challenges the conventional wisdom that in treating serious mental health or substance abuse issues the issue of tobacco smoking can be left for a later time. Chemical use of many kinds is known to impact mental health. Excessive alcohol use results in depression. Many practitioners have been reluctant to treat someone for depression while they are still drinking alcohol. Recently professionals in the mental health and substance abuse field have moved to thinking that substance use issues and mental health issues so thoroughly interact that both problems need to be treated simultaneously. The evidence continues to mount that there is a connection between tobacco use and both mental health issues and substance use disorders. It is becoming clear that ending tobacco use might have a significant impact on mental health. Recently I have been hearing of studies in which the seriously mentally ill were taught smoking cessation and the results of their recovery from both issues were essentially the same as the general population. If you are a smoker, quitting may well improve your mood and your mental health. If you are struggling with a mental health or substance use disorder there is no reason to put off quitting smoking and there are a growing number of reasons to think that quitting will make your other problems easier to manage. 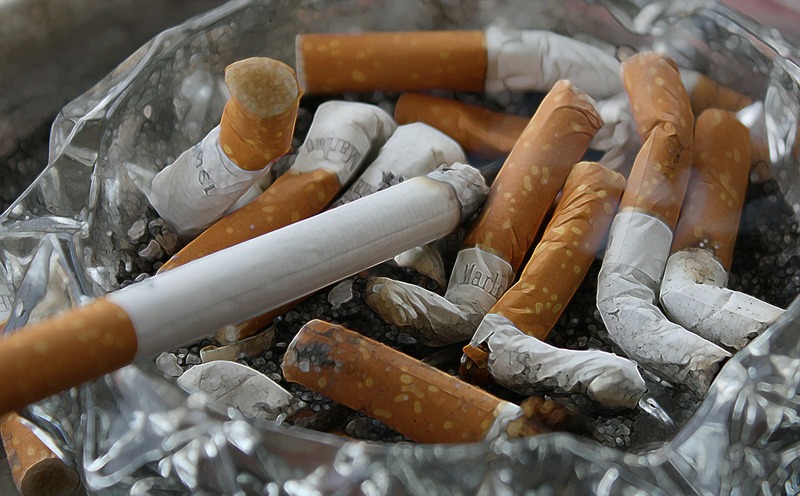 Have you seen a connection between your smoking and other life problems? Drug kills your mental health before it kills your body. Nicotine – The killer drug. Off all the drugs out there, legal or illegal one drug alone accounts for the bulk of the drug-related deaths each year. That drug is Nicotine and the predominant ways it gets into your body is by smoking or second-hand smoke. We have known for 50 years or more that Tobacco and smoking were harmful to our physical health but we are only now seeing the extent of the connection between smoking and other societal problems such as mental illness and homelessness. For every one person that dies of an illegal drug Nicotine kills 200 people. That is not an argument for legalizing other drugs. We have seen highly publicized drug deaths recently from illegal drugs. Heroin and prescribed Opiates can kill quickly and with alcohol in the bloodstream the overdose death rate sores. Deaths from tobacco happen far more slowly. There is a gradual progression of a variety of diseases before the final death. What we have been overlooking in all of this is the significant connection between mental illness, other drug addiction, and smoking. Mental health treatment providers have been slow to recognize the connection and slower yet to attempt any form of smoking cessation treatment with the mentally ill clients. While in withdrawal from Nicotine clients can become agitated, restless and harder to manage. Providers have suggested that they needed to work on the “bigger” issues of drug withdrawal, alcoholism, depression, and other mental disorders. What has been missing from this approach is a clear view of the ways in which Nicotine may be causing and maintaining a mental illness. One consequence of the heavy smoking by the mentally ill is that they commonly live twenty years less than those without a long-term mental illness. Despite the apparent connection between Nicotine and the creation and maintenance of mental illness most providers have been reluctant to include smoking cessation in their programs. This connection between smoking and mental health issues is particularly problematic among women. Jessup Et al. on their study of women smokers reported “Smokers had significantly higher rates of Post Traumatic Stress Disorder (PTSD), past year depression and anxiety, suicidality, past year substance abuse, and co-occurring disorders. Jessup further reports that women who smoke two packs per day are more than twice as likely to suffer from Major Depression. Those with Post Traumatic Stress Disorder were 4-5 times more likely to be heavy smokers. In this study smoking women were much more likely to be unemployed than nonsmokers and even if they lived with a partner the smokers were more likely to not have enough money to meet their basic needs. The connection between smoking, drug, and alcohol use disorders and mental illness has been reported in study after study. Those disorders that seem to be highly correlated include substance use disorders, PTSD, Depression, Anxiety disorders and Psychosis. There have been some suggestions that smoking has helped those with serious mental illness manage their symptoms, even though this is at the cost of a shortened lifespan. The research seems to report that smokers report more, not fewer, symptoms of mental illness. The “smoking solution” is making symptoms worse, not better. This connection between smoking, mental illness, and a substance use disorder also resulted in increased rates of unemployment, no medical insurance and a high need for treatment. Those at the highest need of physical health services were the least likely to be receiving those services other than through free programs or hospital emergency rooms. Studies have also reported that smokers are twice as likely to have had recent thoughts of suicide as non-smokers. One difficulty with adding smoking cessation treatment to substance abuse, mental health, and co-occurring treatment programs is that the majority of people in treatment are in the stage of change we call “precontemplative” meaning they had not even thought about quitting. For this group, the most effective intervention may be education about the connection between smoking and their other co-occurring issues. We are hopeful that the expansion of health care will result in more services for those who have co-occurring disorders and that smoking cessation treatment may be included in those services. The younger you start smoking the riskier it is. In our efforts to teach kids about drugs and addiction we have been neglecting to focus on the one drug that seems to be the ticket to later life mental illness and addiction. Most young people with a drug or alcohol problem began to smoke between the ages of 11 and 13. Early use of alcohol is also a factor. For now, let’s talk about the impact of smoking cigarettes on teen’s development of a mental illness or an addiction. Among adult smokers, over 80% began smoking in the early teen years. What has gone unnoticed for so long is the connection between this early smoking, the development of addiction to other drugs and the development of a mental illness. Fortuna Et al. reported on a study of adolescents in a residential substance abuse treatment program. You need to have developed a serious problem to get into residential treatment in most places these days. What they found was disturbing. An occasional smoker, those “social” smokers, can develop a dependency on Nicotine in as little as 4 weeks. Kinney reported in a drug treatment book that after smoking just one cigarette, once they light up that second time, a young person has an 85 % chance of becoming a daily smoker. That is an extremely addictive substance. Among teen smokers in residential substance abuse treatment, the problems with mental illness were significant. Those with depression and anxiety, both common across the lifespan, they were twice as likely to develop nicotine dependence as those without a mental illness. People with Bipolar Disorder and or Schizophrenia are three times more likely to be nicotine dependent. Even the rates of smoking among those with ADHD are reported as significantly higher than those with no mental illness diagnosis. Being the victim of, or being exposed to trauma, domestic violence or other abuse and neglect also correlate with an increase in smoking and nicotine dependency. It is worth noting that from the design of these studies we can’t be sure of the exact nature of the connection. Does smoking increase the risk of developing a mental illness? It looks likely. It also looks likely that those with a preexisting mental illness are more likely to take up smoking. Either way teen smoking is a whole lot more troubling than anyone recognized in the past. What Fortune et al. did conclude in their study was that a teen’s cigarette smoking significantly increased the risk of them developing a serious drug or alcohol addiction. They also report that those with co-occurring disorders, addiction, and a mental illness are much more likely to become nicotine dependent if they start smoking. In this study, the only drug that teens had used first more often than smoking tobacco was smoking marijuana. We have known that route of administration significantly impacts the way the drug affects a user. It seems to me that any drug that is smoked can lead to dependency faster than other routes of administration. Even so, the conclusion that more teens with co-occurring disorders began by smoking marijuana is a concern. Alcohol use was a close third in the drug that teens who later developed an addiction had used first. This suggests that parent use, societal approval, and ready availability are all factors in teen’s first picking up a drug and then in progressing to a more serious substance use disorder. Most of this kind of research looks at those who develop problems and then looks back at what route the followed to get to addiction. We can’t be sure what percentage of teens that smoke cigarettes, do marijuana or drink alcohol will go on to develop a substance use disorder or a mental illness. Still, it seems clear that those who do develop an addiction or a mental illness, most of them started abusing the readily available substance at an early age. In studies of teens in drug treatment, Fortune et. al especially notes this, smoking is so common, most every teen is a smoker, it is hard to see the differences between the smokers and the nonsmokers. Lawrence et. all looked at the connection between smoking and mental illness in a large sample of youth, not in treatment. Their conclusions were similar. Teens with a mental illness were far more likely to start smoking at an early age, smoke on an everyday basis and be heavy smokers. They clearly identified a link between teens who smoke and mental illness. It is important that in addressing teen mental health issues and substance abuse issues we not overlook the role of nicotine and early smoking. We also need to keep an eye out for the emergence of increased marijuana use as the first indicator of a teen mental health issue. Other research and treatment protocols have looked at the need for a different form of treatment for those whose primary drug of choice was Marijuana and who had self-reported this as being a problem. For more on drug-specific treatment of Marijuana look at the SAMHSA publication on Brief Counseling for Marijuana Dependency (BCMD.) This publication is free. Does smoking cause mental illness? The evidence is starting to pile up that smoking may be a cause of some mental illnesses. We have known for some time now that the mentally ill were heavy smokers. Those with psychosis, schizophrenia, in particular, are frequently two pack a day or more smokers. We also have seen studies that report from 44% to over 50% of the cigarettes consumed in America are consumed by those with a mental, emotional or behavioral disorder. Alcoholics and Drug Addicts are frequently heavy smokers. Fully one in three adult smokers has some form of mental illness. What most researchers have been reluctant to conclude is that smoking may be the cause of some of these mental illnesses. That is beginning to change. One problem with the past studies has been the way the samples were drawn. A survey of the population can tell you how many people have a mental illness and how many smoked, but not which caused which or were they both caused by some third factor like poverty or trauma. One particularly convincing study was done in Norway (Petersen et al. 2008.) They have good data on who was treated for what and why. This study was able to follow a large sample of youth beginning at age 13 and lasting 13 years until they were 27. They looked at who smoked at age 13, when they started and the results. They were also able to follow the person’s health and mental health treatment. This longitudinal study allowed them to compare those who had a mental illness at age 13 with those who did not and those who smoked at age 13 with those who did not. Their data tells us that those with an early onset of mental illness were at high risk to become daily smokers with a nicotine dependency. What was more startling was that those who had no mental health diagnosis at age 13 and smoked were more likely to develop a mental illness. The smoking appears to have preceded the development of the mental illness. Even more, evidence that a mental health issue is caused by not is the cause of, smoking was found in the effects of levels of nicotine dependency. Those youth who were heavy smokers (nicotine dependent) developed more mental health problems regardless of the age at which they first started smoking. Someone who became a heavy smoker at age 20 with no history of mental illness was at high risk to have a mental illness at age 27. Further evidence of the connection between smoking tobacco and mental illness comes from a study from South Australia (Bowden et al., 2001) which found that the more severe the level of mental illness the more likely the person was to smoke. The most seriously mentally ill had a smoking rate in excess of 51%. This leads to the inescapable conclusion that smoking increases the risk of developing a mental illness in addition to the physical ones we already knew about. How might smoking be increasing these risks? One way smoking may increase the risk of developing a mental illness is Nicotine’s effect on the serotonin regulation in the brain. Nicotine impairs the serotonin function of the brain. Low serotonin has been postulated to be a major factor in Major Depressive Disorder. Selective Serotonin Reuptake Inhibitors (SSRI’s) that slow the breakdown of Serotonin and thereby increase the levels of serotonin in the brain are commonly used to treat depression. One antidepressant is also currently being marketed to help people stop smoking. Smoking reduces the levels of oxygen in the bloodstream and the brain. This reduced oxygen is a factor in the presence of chronic pain and now appears to also be a factor in increasing depression and anxiety. Social factors may also account for some of the difference in depression in non-smokers versus smokers. With societies shift to preferring nonsmokers, there are restrictions on smoking in public places. Smokers are finding it harder to get jobs and to be able to get off duty during the work day to smoke. Not having a job, having few social friends and being socially undesirable all add to the reasons a smoker is more likely to be depressed than a nonsmoker. In future posts, we will explore the connection between smoking and specific mental illnesses and look at how and when you should quit if you want to maximize your mental wellness.